If you are unsure of what type of repair or service is needed for your property, do not hesitate to contact us, we are available. 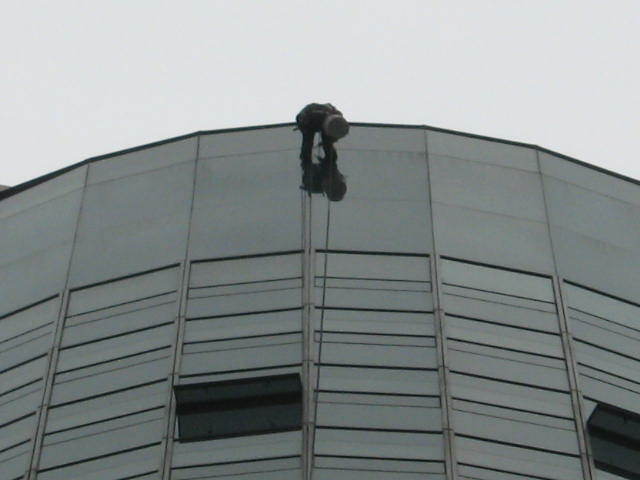 Our experienced professionals will consult and recommend suitable services for you. 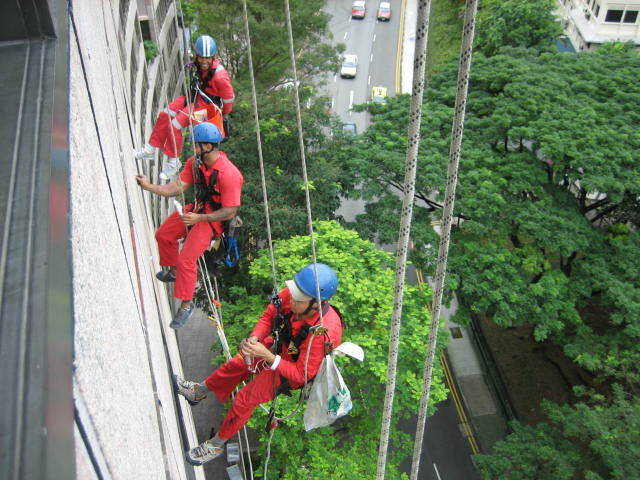 Rope access work is one of our main services that is often used to aid in any building repair or maintenance works. 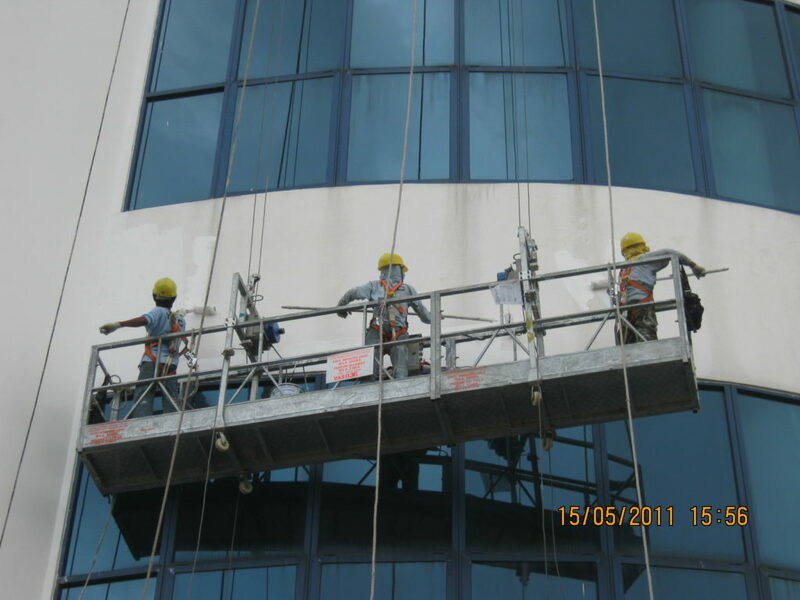 We ensure that our workers are well equipped, certified and have gone through the various safety courses required. 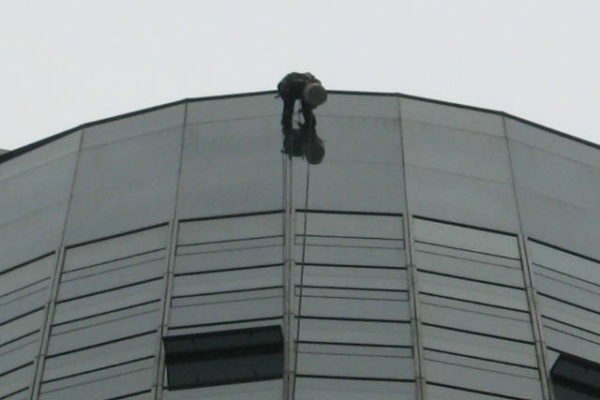 > External Façade Cleaning services includes cleaning all types of high and low rise buildings such as office buildings, industrial complexes, shopping centers and commercial buildings. 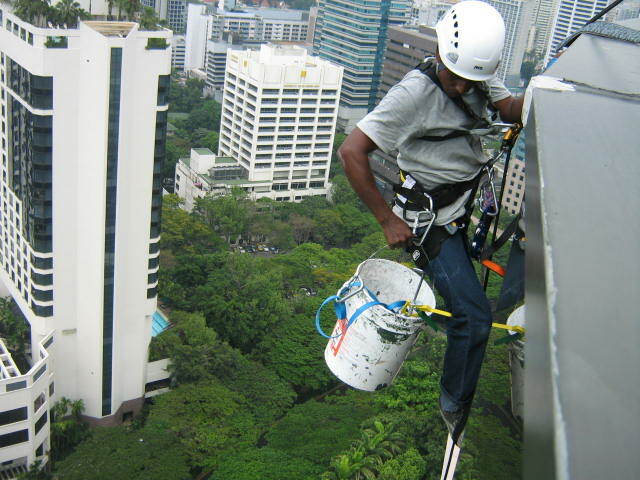 > Façade Sealant is a gap-filling agent in building construction joints to keep out moisture. It is both good for Interior and Exterior purposes. 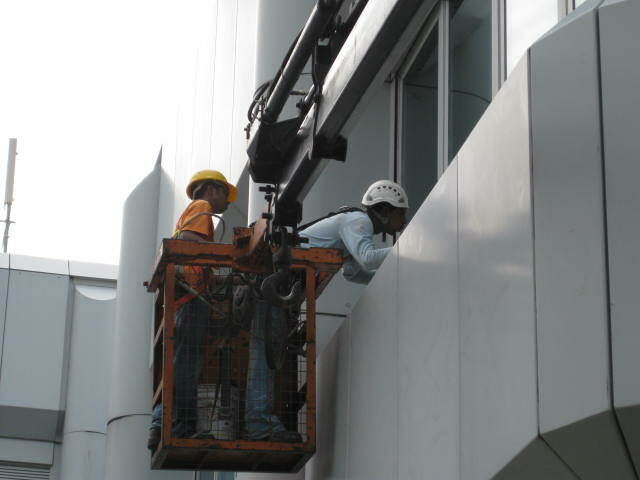 We provide Façade sealant works to both commercial and residential buildings. The product we use for application is high quality and long lasting. 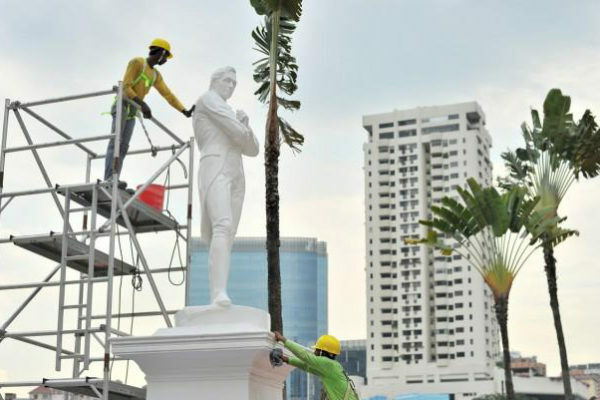 > Restoration Works done by professional can help preserve a building longer. We are able to protect historical, cultural or architectural values through repair, alterations or additions. > Reinstatements are important to owners of a building. It is a way to protect his or her assets. Reinstatement Value relates to the demolition and rebuilding cost of a property. Our well trained staffs are able to do reinstatement works. > Term Contracts is where a client would engage us for a regular maintenance works or restoration works over a period of time and this is usually for minor or maintenance works. > Concrete repair services are the process of fixing a hardened concrete surface, that has in time lost the ability to hold the binding of concrete materials together due to damage or environmental exposure. A&A works are minor works done to a structure or bringing down external walls, beams or columns. These constructions and changes are dangerous, that is why we have the right experienced professionals. Concrete grouting is the filling of voids and sealing joints such as those between tiles. 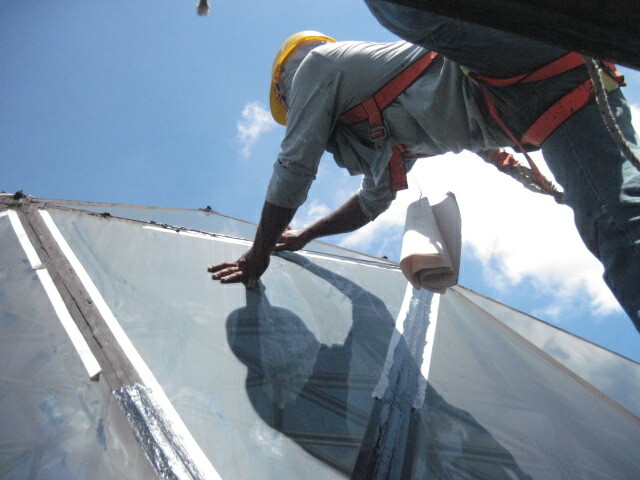 It requires care and knowledge to reinforce or repair cracks in an existing structure. Epoxy Grouting, similar to concrete grouting, is a waterless mix formed by mixing a base material and hardener. Many consider this because it does not require any additional sealer to protect the surface. Structure repairs are renovations to a property to bring it up to local health and safety standards. We do these repairs for unwanted movements in buildings cause by ground movement, inadequately restrained walls or mechanical impact and disturbances. 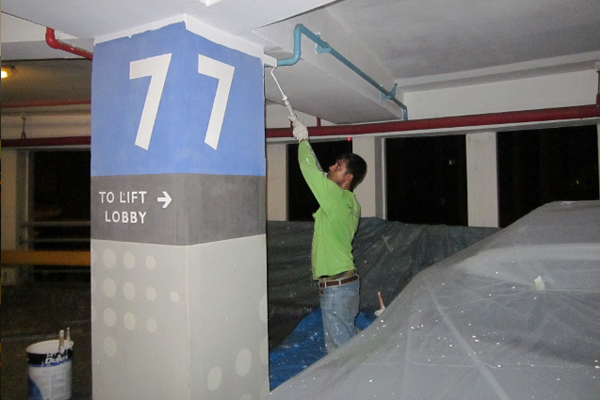 Established in 1999, TAC Contracts is a waterproofing and repainting contractor that has continuously provided its customers with quality workmanship at affordable prices. © TAC Contracts Pte Ltd 2018. All rights reserved.